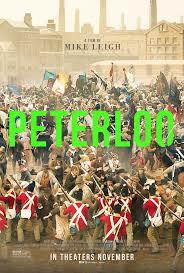 Review: Tells the story of the 1819 Peterloo Massacre, where the British forces attacked a peaceful crowd of 80,000 that gathered in Manchester. A really important part of history that everyone should know about. Before this film I knew nothing about the story so therefore this story should be told. As a feature length film I found that the story didn’t work. The things I was really impressed with and did make the film work were the costumes and also the cinematography/landscape. All of which were amazing. I did find that the length of the film to be a bit too long standing in at 2 hr 35 mins. There was no need for it to be that long. Being this long took away from the atmosphere.